The Animal Hooded Scarf... With Ears! I LOVE THIS SCARF! Haha! 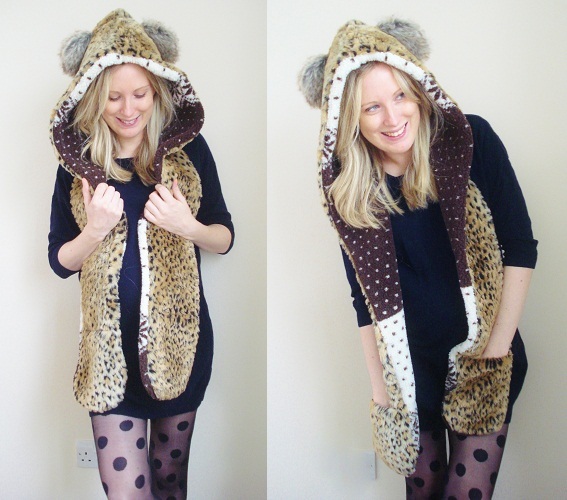 I felt like a right weirdo walking down the street in this animal hooded scarf from River Island, complete with little ears and pockets for your hands! But, it was nice to see people looking at me for what I was wearing instead of this gigantic bump sticking out form my jumper. This jumper dress is amazing too! It's not maternity, it just so happens to cover the bump nicely, but again that's the lucky thing about being pregnant in the winter. 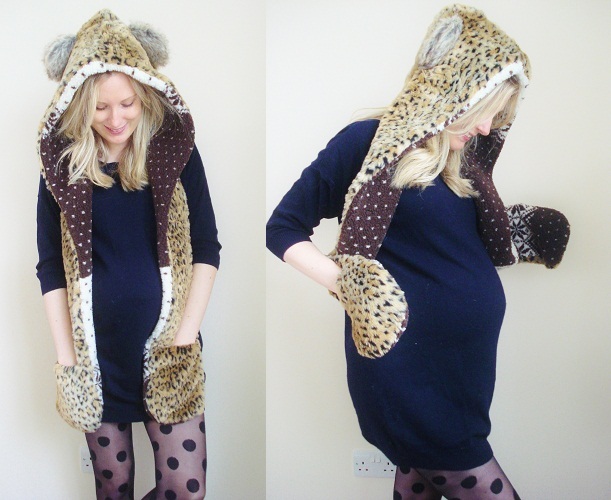 There are so many oversized, cute baggy jumpers to keep the bump tucked up warm and you don't have to buy them in maternity sizing either! Tights are also very useful as they are stretchy enough to cover the bump and come in lots of pretty patterns so you don't have to lose your fashionista side while carrying around the baby! Boden are EVIL! 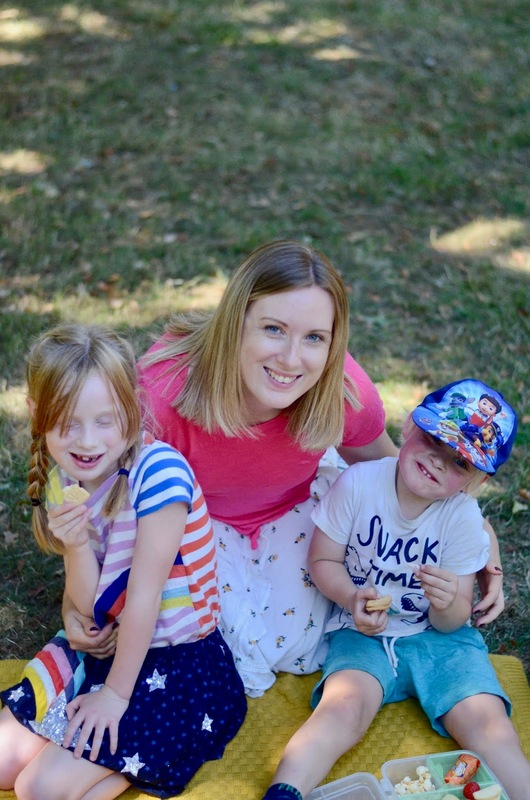 They sent me a wonderful 15% off AND a £10 off gift voucher, which of course totally enticed me in to buy another batch of adorable, bunny stamped baby wear! I have to admit, their clothes are so well made and so unbelievably beautiful that I don't feel too guilty about it... But I will certainly be looking for a few bargains next time, just to even out the old bank account (not looking at all happy these days... and she's not even here yet!). I hope everyone has a great week. I shall be walking up and down stairs, eating endless amounts of curry and drinking raspberry leaf tea! this scarf is hilarious ;) LOVE the dress & tights!! !